It has been 2,550 days since *ichigan has beaten Ohio State (we know that because there’s a website dedicated solely to keeping track). Back in 2011, No. 15 Michigan snapped a seven-game losing streak to Ohio State, winning a back-and-forth battle at Michigan Stadium. 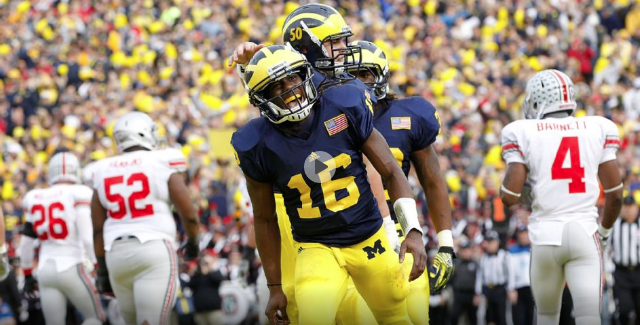 The victory was led by Denard Robinson’s five total touchdowns. If you’ve come to peace with it, you can watch highlights from the game below. But luckily, we were able to bury the loss with six consecutive wins in the last six years. Let’s make it seven, Buckeyes!